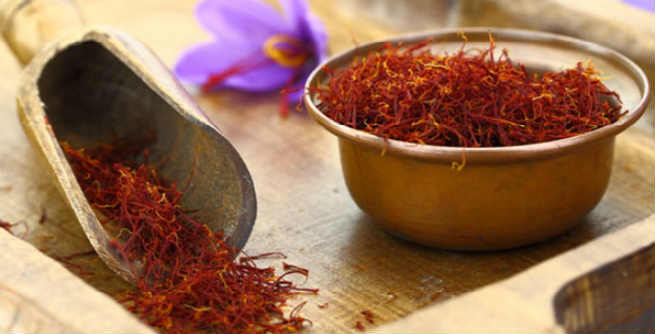 You know a lot about how the exotic herb saffron can be used in cooking and how it can take a dish to an all new level. But do you know that the magical herb can also enrich your beauty to a great extent? Just add it to your beauty kit and experience the difference. Massage your face regularly with a pack containing fresh raw honey and a few strands of saffron. Use a face mask that includes fresh milk, sandalwood powder and saffron. Drink a glass of milk every day by adding 2 to 3 strands of saffron to it. Massage your face weekly with a uniform paste of saffron, milk and sandalwood powder. Move your fingertips gently in circles to make the most of this magic potion. Wash your face twice a week with saffron-soaked milk. Add 2-3 strands of saffron to fresh milk cream and massage your face with it. Prepare a face pack by mixing and grinding milk, sunflower seeds and saffron together. Use it daily in the morning. Give your face a decent massage with the blend of coconut oil / olive oil / almond oil and saffron. Drink saffron-soaked milk every day before going to bed. You can enhance the texture of your skin by incorporating saffron in your regular beauty regimen. Boil some fresh water and add milk powder as well as a couple of saffron strands to it. Using this mixture on your face will help you get an even and smooth facial texture. Saffron can help you get rid of dull and lifeless skin by exfoliating the dead cell layer and revealing the fresh skin underneath it. Add 4 to 5 strands of saffron to fresh water and leave it for the night. When it turns golden yellow, add milk, a bit sugar and a couple of drops of coconut water. Finally, wipe your face with this concoction by dipping a bread slice in it. If you have a super dry skin or, a face pack combining milk, honey and saffron would be a blessing for you. On the other hand, those who have extremely oily face should replace honey with lemon juice in the same pack and get a normal and healthy skin easily. The herb can also be used as a good toner. Just soak it to some fresh rose water until you get a beautiful hue. Apply the mixture on your skin with a cotton ball and get a firmer and well-toned skin. When it comes to driving acne and blemishes away, the anti-bacterial and antioxidant properties of saffron can be highly beneficial. All you need to do is to make a fine smooth paste of 4 to 5 basil leaves and a few strands of saffron. Regular application of this pack will give you a clean and clear skin faster. Saffron is very much effective in treating suntan. Drop a few saffron strands into fresh milk cream and leave it for the night. Next morning, mix them well together and apply on the affected areas of the skin to get a tan-free luminous complexion. You can also get rid of excessive hair fall and promote the growth of new hair by applying a mixture of milk, liquorice powder and saffron on the troubled areas of your head regularly.